The Pacamor Kubar Bearings name promises reliable, repeatable performance, from our entire array of products. PKB’s dedication to quality is unrivaled in the industry. Our commitment to on-time delivery is surpassed only by our demand for unwavering quality. 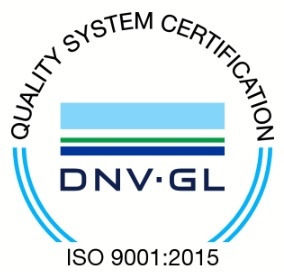 Pacamor Kubar Bearings’ Troy, N.Y. facility is ISO 9001:2015 and AS9100D certified. PKB bearings are appropriately DFARS-compliant. PKB maintains an in-house Designated Manufaturing Inspection Representative(DMIR), for expedited shipments to aerospace customers. 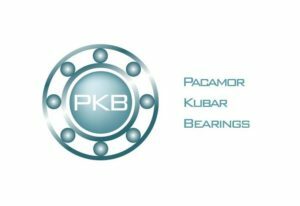 Pacamor Kubar Bearings is an American ball bearing manufacturer focusing on miniature ball bearings for aerospace, industrial and commercial applications. The company focuses on its strengths to compete in challenging domestic and global markets. Pacamor Kubar Bearings is a unique manufacturer of some of the tiniest, yet most critical components of high-tech machinery and equipment. PKB’s stainless steel and stainless steel hybrid bearings (ceramic balls or TiC balls with stainless steel rings), are found in aircraft instruments, missile guidance systems, medical instruments, oil rigs, computers, helicopter joy sticks, flow meters, and countless other equipment and products. In a competitive market, PKB has built a great reputation among customers who care about quality, responsiveness and price. Pacamor Kubar Bearings has found its niche as a rapid-response supplier of affordable American miniature bearings. PKB focuses on high-quality miniature ball bearings, and due to its company size, PKB is better able to respond quickly, to challenging customer demands. Pacamor’s Quality Policy: To continually improve our ability to provide our customers with a quality and competitively priced product, while maintaining the flexibility to rapidly respond to their needs. Our employee’s contributions are both valued and essential in achieving these goals. Pacamor Kubar Bearings is a domestic manufacturer of high precision miniature and instrument bearings, and offers over 40 years of expertise in radial ball bearings. Located in Troy, NY, Pacamor Kubar Bearings is the only company in America that produces miniature ball bearings, exclusively.